The Chief of Police serves as the department head of the Police Department and reports to the City Manager. He is charged with keeping the peace and order in the city and protecting the lives and property of all citizens. Chief Joe Ayala was sworn in as Chief of Police in April 2001, and previously served as the Chief in August 1996-1997. In his 30th year of service with the JC Police Department, Ayala began as a patrolman with the department in 1981, where he worked through the ranks from patrolman, Detective, Lieutenant and Chief of Police. 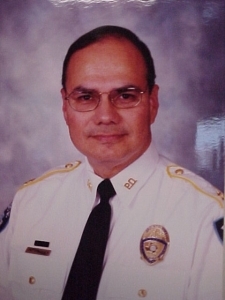 Ayala also served as interim Chief on two other separate occasions. A graduate of the College of the Mainland Law Enforcement Academy, Ayala has an Advance and Master Peace Officer Certification license. Chief Ayala is honored to serve the residents of our city. Ayala has an open door policy and stated, “I will strive to serve the needs of our community to the best of my ability. Respect and courtesy is foremost. 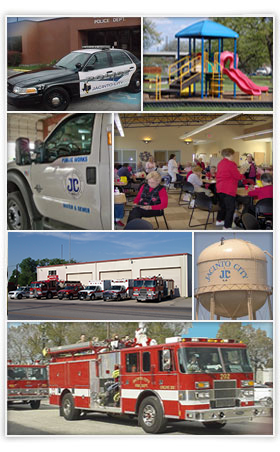 Our response time, visibility and the safety of all is of the highest priority.